Fashion designer schools should be appropriate for people who have proper interest in things related to fashion. They already have the talent of putting together amazing outfits, even before they are enrolled to the designer school. The ability to combine various clothing and accessories may come naturally to a number of people. It should be possible for them to get highly refined skill by having the proper education. Fashion can become a strong passion for many people that can also bring significant financial successes. In design schools, students are taught how to properly sketch their ideas. They will start by cutting patterns and creating simple garment designs. By reinforcing basic skills, people who already have immense passion on fashion should be able to properly develop their skills. Designers will also know how to perform in the most professional manner. They can use different combinations of materials, shapes and colors; so their designs will stand out strongly among the competition. 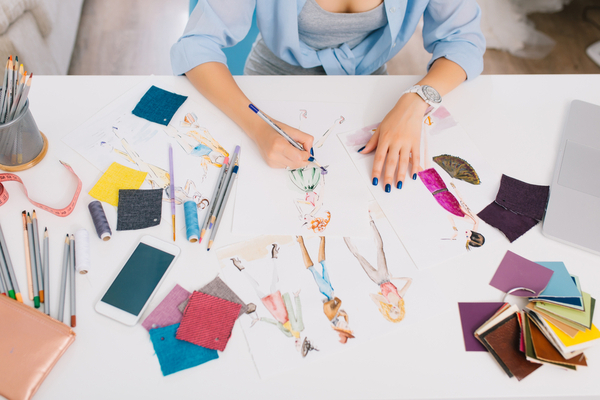 By understanding how to combine clothing and various accessories, these students will eventually be able to start their career as designer’s assistant. With their knowledge and skill, these new designers can apply to professional design firms. This is an excellent way for them to achieve the proper level of experience. Real life skill in the industry is also not taught in any design school. They will need to learn how to interact with other designers and how to deal with unexpected situations in the production and exhibition areas. They will become more proficient in the creative aspects and they will have higher positions in these firms. They will also know how to read the market and understand what kind of designs that is appropriate for specific geographical locations at certain seasons. Designers could also create theatrical or film production costumes, which extend their capabilities even further. New designers may work on contract, so they are able to perform in different situations. This is a certainly a good thing if new designers want to further improve their capabilities in the future. With proper skills, it is more likely for new designers to achieve more consistent level of income. By extending their education in the professional situation, new designers should be able to experience different work environment. They should be able to set a high standard for themselves and these new designers will be able to thrive in unfavourable situations. If new designers want to get more experience, they need to ask questions about schedule, scope of job and work environment. Staying for at least 2 years in a position should be enough to get the required experience. They could start looking for other kinds of fashion design experiences. In fact, new designers should be willing to get involved in a less comfortable working condition. After gaining enough experience, these designers should already have good network in the industry and have enough skill to start a freelance business. They will eventually have their own design firms that are respected in the industry.